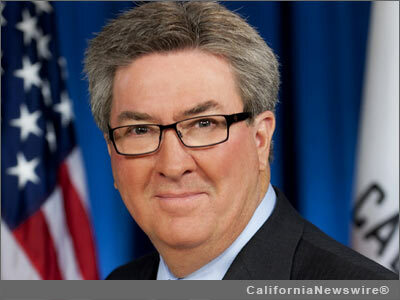 SACRAMENTO, Calif. /California Newswire/ — On Wednesday, Assemblyman Ken Cooley chaired the first hearing of the Assembly Select Committee on Community and Neighborhood Development. The ten member, bi-partisan committee heard from policy and administrative experts who spoke about the impacts of suburban sprawl on our metropolitan areas, and funding needs to help revitalize our aging communities. During the hearing, Bill Fulton, Planning Director for the City of San Diego and past Mayor of Ventura, noted that infrastructure and amenities in communities that most people would consider newer are nearing 20 years old. Juan Matute, Director of the UCLA Local Climate Change Initiative, highlighted the challenges older cities and first tier suburbs face with a greater need for community development funding and fewer tools to stay competitive with new neighborhood developments. Matute presented a recent paper highlighting that financial tools in the local government toolkit have evolved across the last 40 years and concluding the tools currently in the toolkit have not kept up with today’s desire for more compact, less auto-dependent communities. The loss of redevelopment agencies in California in 2012 removed a vital tool from local governments’ toolkit. Although some tools still remain—including general obligation bonds, infrastructure financing districts and assessment districts—local governments in California lack a dependable financing mechanism that can be consistently used for infill, infrastructure, and redevelopment. Other speakers during the hearing included: Jim Wunderman, Chief Executive Officer of the Bay Area Council; Sacramento County Executive Officer Brad Hudson; Richard Lyon, Senior Vice President of the California Building Industry Association; and Jeff Loux, Director of the Land Use and Natural Resource Program at UC Davis Extension.